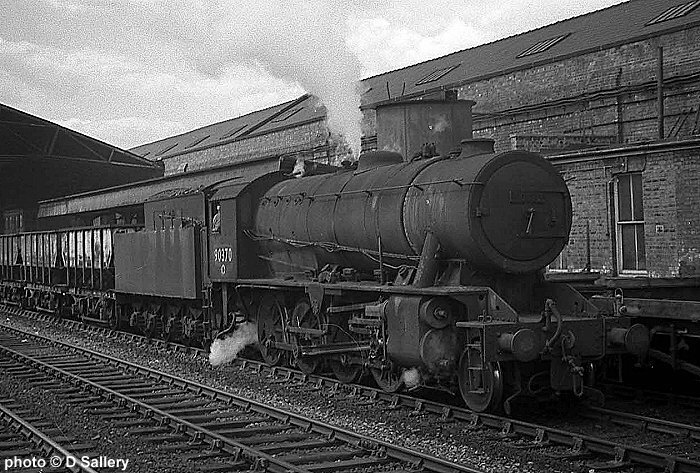 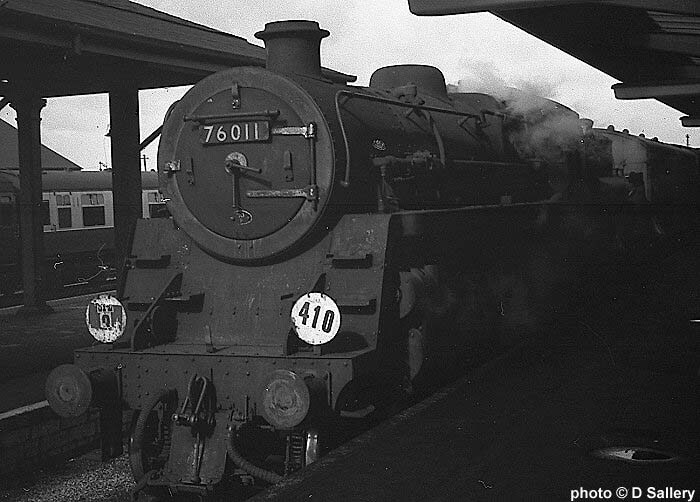 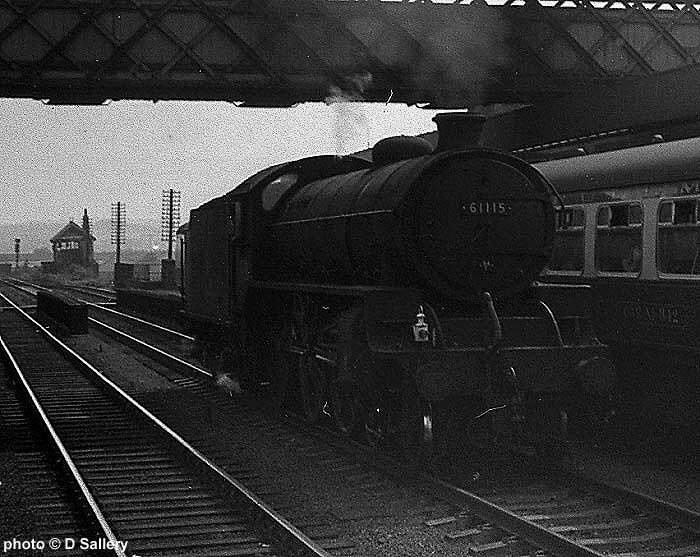 Wakefield Kirkgate, May 7th 1966. 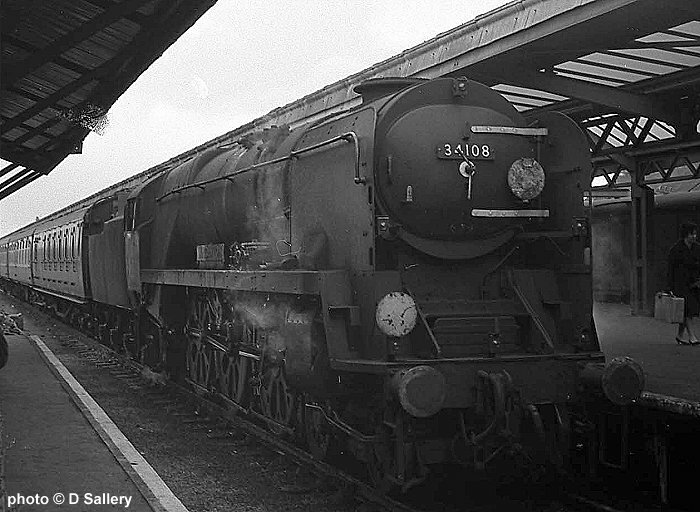 Jubilee 45694 "Bellerophon" is seen here on a humble freight working. 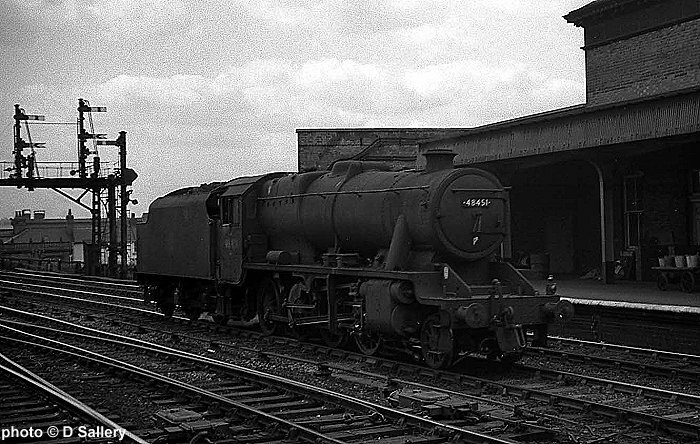 44824 works a short freight eastbound. 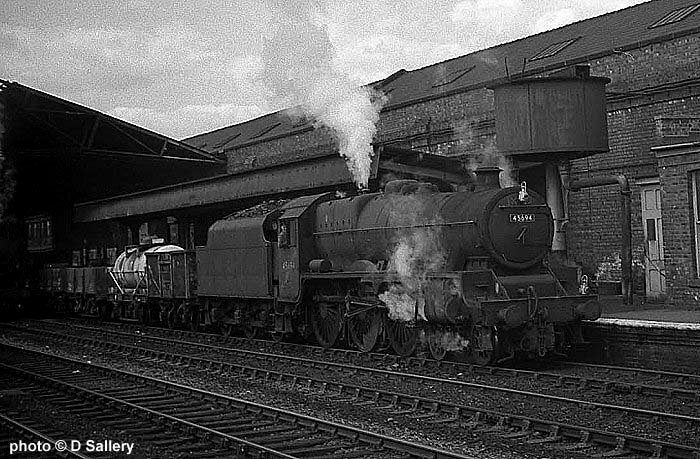 The station area was about to be resignalled in connection with the construction of Healey Mills marshalling yard. 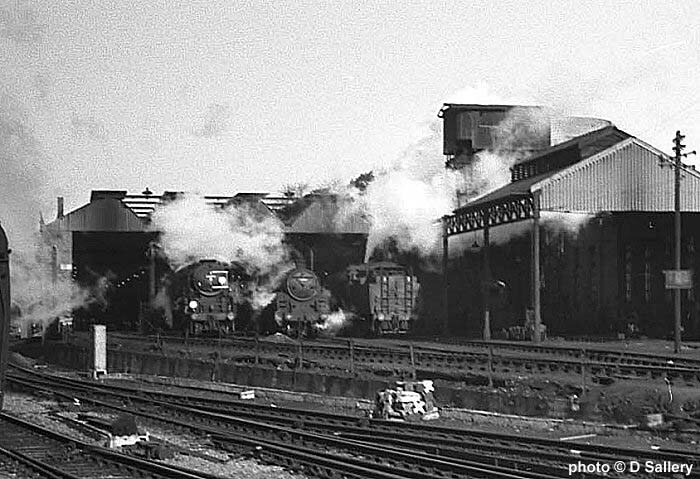 48451 passes through light engine. 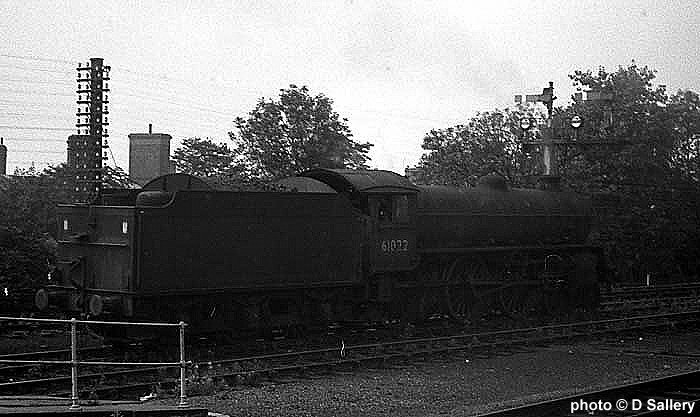 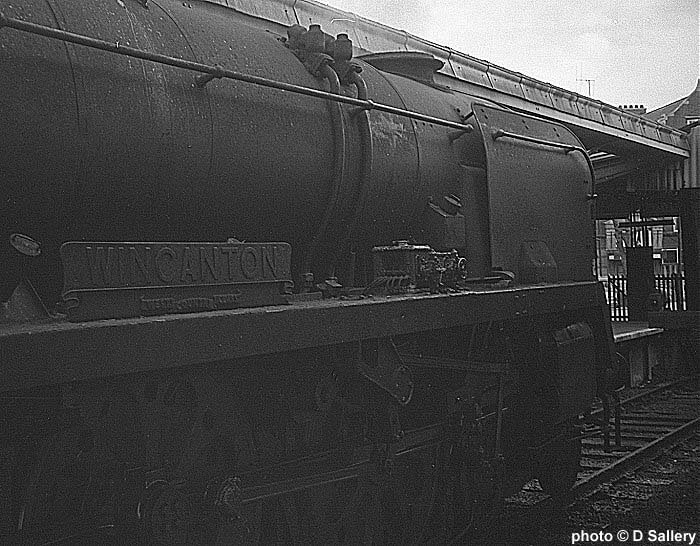 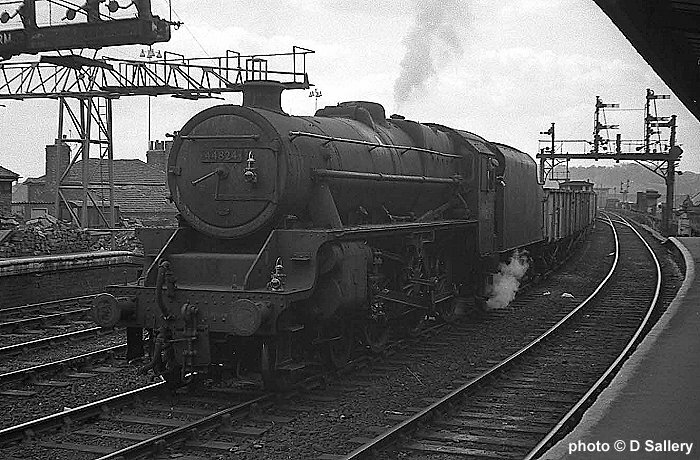 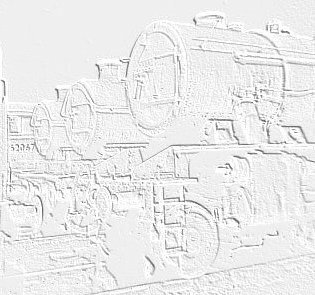 90370 was one of a procession of WD 2-8-0's on coal trains. 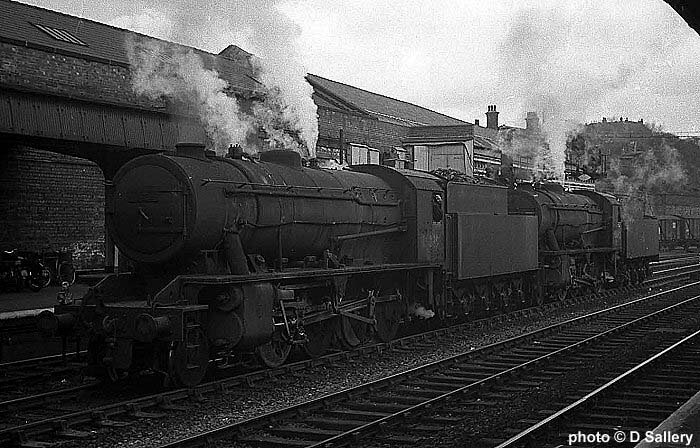 2 WD's are seen heading for the shed. 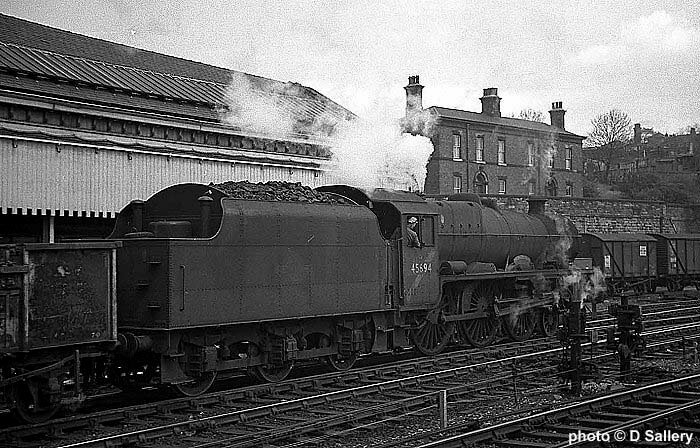 Exchange portion of a Kings Cross - Leeds train.